It’s faster because it’s different, stop trying to make it the same! Never really being comfortable with the whole “this is the way we’ve always done it” argument I have always been one to question why things were being done the way they are and always looked for a better/faster/cheaper solution to problems. Since getting a 3D Laser Scanner I have really noticed just how endemic the “this is how we’ve always done it” culture is in so many people. As a creature of habit myself, I can totally understand the desire to stick with what you know, but 3D Scanning is such a game changer for the design and drafting fields that if you are going to take it on, you really need to be ready for a major shift in thinking in order to get the most benefit from it! 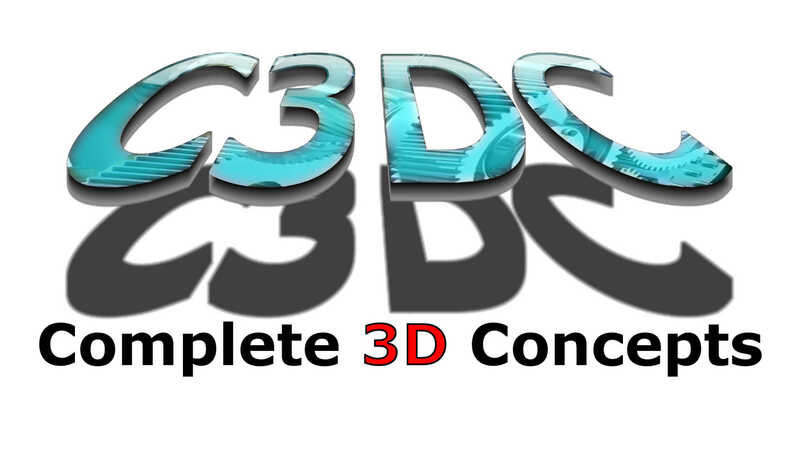 When first looking into and getting our scanner, I like most people thought that the scan was just going to be the first part of a job and that would be followed by a long painful process of extracting every bit of detail from the point cloud into 3D Solids for use in the design/drafting works to follow. What I quickly came to realise is that this isn’t, or doesn’t always have to be, the case! With the advances in not only the scanners themselves, but most of the major 3D design software on the market and desktop computing power, it is now possible to just use the point cloud itself as your reference for doing your design. Then when it comes time to do the drafting, only extract the information you HAVE to see in the 2D drawings for them to make sense, if your software doesn’t show the point cloud in the 2D drawings. While this was a bit of an obvious thing to me using the scan data on most jobs, I feel there is still a vast lack of understanding in this regard to using scans to complete jobs. As part of the service we provide when we do a scan job, we offer up to a day of training to get your staff up and running as fast as possible with your first scan job. The most difficult thing to get across to people is always this concept of not needing to remodel everything. The simplest way I can work out to put it is a comparison between the 2 methods of working. The old way; which is where we go to site with a tape and sketch pad, measure everything we think we will need to see, avoid or dimension to as best we can. We then return to the office to redraw/model everything we have measured and then start our designs. By default this means everything we have measured will show up in the drawings whether we need it there or not. Often times we even have to simplify drawings to remove unnecessary details to make them clearer as we needed the detail to ensure our design would work or fit the area, but don’t need to show it in a drawing. With 3D scanning, once the scan is done, every detail is captured far more accurately then you could ever measure or remodel and the point clouds are so dense that they can be used like a “fuzzy” 3D picture/model to ensure your design will work. Not only do you not need to do the re-modelling, as more detail is there then you would have ever been able to work with in the past, but it is there instantly and at the start of the job! So why waste the time going back and re-modelling it to make it look less detailed and likely less accurate? 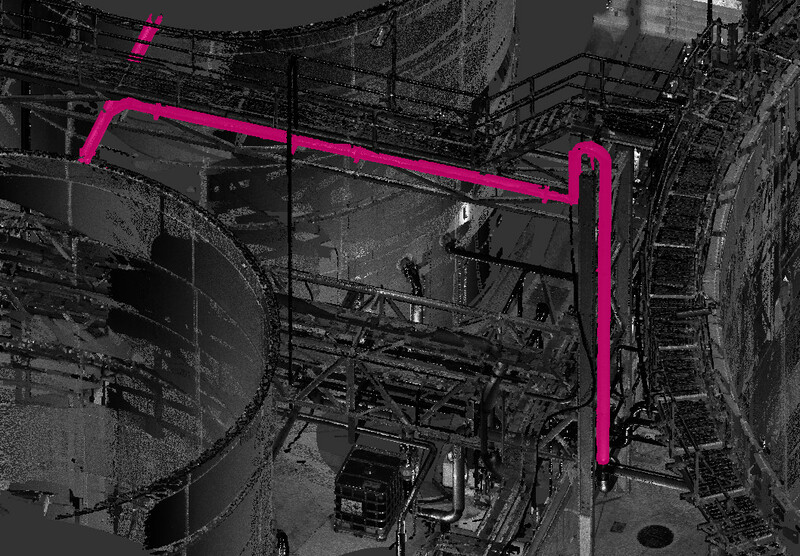 You have the point cloud to make sure your design works, all you need to show in the 2D drawings is enough detail to ensure your design can be fabricated and installed. It is mind bending the speed at which a design can be done now with the use of scan data and something that ultimately needs to be experienced to be believed and truly understood. Previous PostPrevious We’ve Started a YouTube Channel! Next PostNext How many scans will it take?